This past Saturday night, September 15th 2018, Saul “Canelo” Alvarez (50-1-2, 34 KO’s) somehow escaped with the victory, as he defeated Gennady “GGG” Golovkin (38-1-1, 34 KO’s) via majority decision to become the new WBA/WBC/Ring Middleweight Champion. The night started off with the return of Roman “Chocolatito” Gonzalez (47-2, 39 KO’s) as he easily defeated Moises Fuentes (25-5-1, 14 KO’s) via KO in the 5th round. Gonzalez mauled Fuentes for 5 rounds, and finally in the fifth, recorded the knockout. 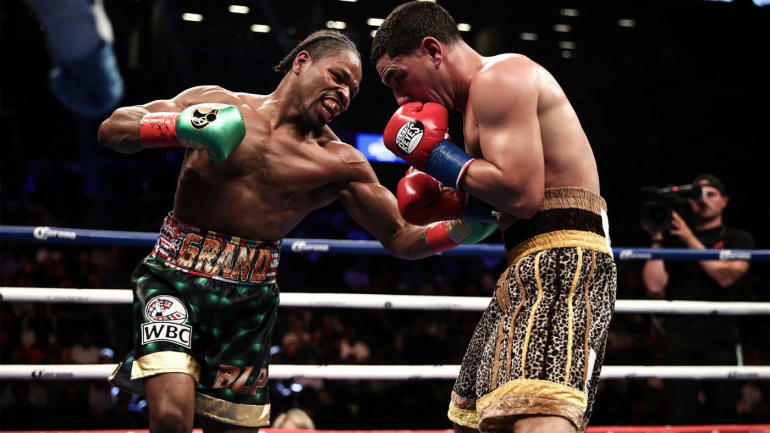 Fuentes was completely overmatched with skill, speed and power, and Gonzalez imposed his will for nearly 5 rounds. The second fight of the evening was a very short one. David Lemieux (40-4, 34 KO’s) put himself back in the title hunt as he defeat Gary “Spike” O’Sullivan (28-3, 20 KO’s) with a vicious KO in the very first round. There wasn’t much to say about this one, except Spike O’Sullivan just could not take Lemieux’s power, and he was disposed of quickly. In the 3rd battle of the evening, Jaime Mungia (30-0, 25 KO’s) defeated Brandon Cook (20-2, 13 KO’s) in another quick one, as he stopped Cook in the third round of their fight. 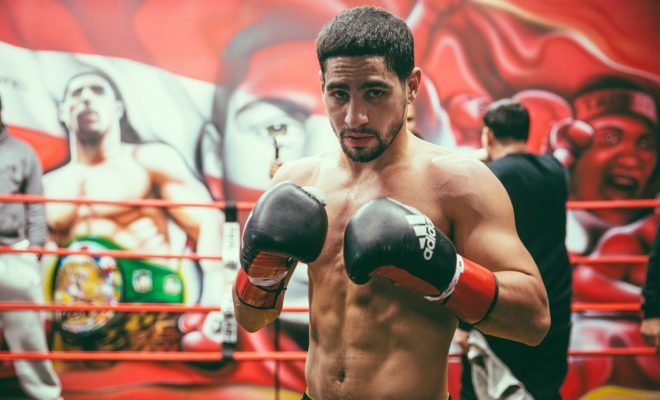 Mungia successfully defended his new WBO Junior Middleweight title, and will no doubt be looking for the biggest fight possible, even though he is still only 21 years of age. The main event was yet another disappointment for Gennady Golovkin, as he fought hard once again against Canelo Alvarez, and even though the final punch stats were in his favor again, he does not get the victory for the second straight fight. Both fighters started off cautious in the 1st round, trying to find their range and gauge their opponent. The first 4 rounds were very hard to score and pretty even by anyones standards. Golovkin would take over the fight in the middle rounds, as Canelo seemed to fade a bit. Golovkin landed a few vicious right hands that seemed to bother Canelo, but again it wouldn’t be enough to convince the judges he won. GGG had a great round 10 and 11, but Canelo came on strong in the 12th. The final scores were 114-114 (Feldman), 115-113 (Moretti) in favor of Canelo, and 115-113 (Weisfeld) in favor of Canelo. I score the fight 115-113 for Golovkin. I feel compelled to note that just as in the first fight which was a draw, Golovkin outlanded Canelo by a pretty healthy margin in this fight as well, but he comes away with a draw and now a loss. Never the less, Alvarez is now the unified WBA/WBC/TheRing middleweight champion. It was a tale of two fights last night in Toronto Canada as Adonis Stevenson (29-1-1, 24 KO’s) and Badou Jack (22-1-4, 13 KO’s) fought to a draw at the Air Canada Center. 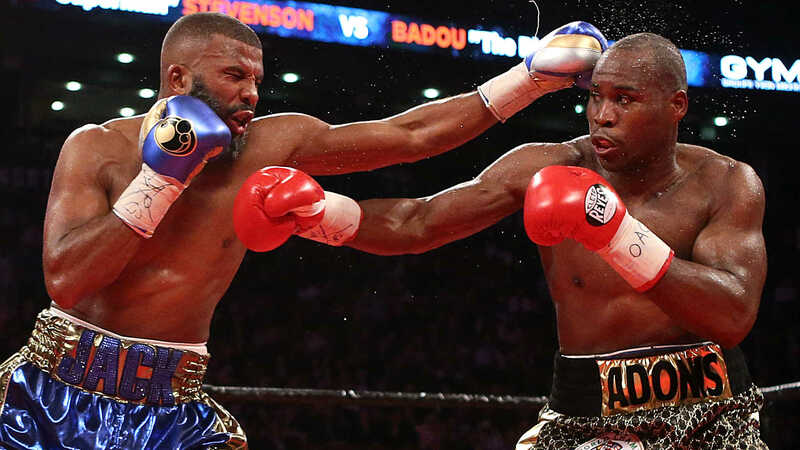 The first half of the fight was all Adonis Stevenson, as Badou Jacks’ plan was to conserve his energy until the second half of the fight against the aging Stevenson. Jack might have waited a round too long to get going though, because two judges had the fight a draw. Badou Jack barely threw any punches in the first half of the fight, and Stevenson took the first half basically by default. He was slightly busier then Jack, but neither fighter did much through the first 6 rounds. Badou Jack turned on the jets in the 7t round however, as he started outlining Stevenson by wide margins. Jack was totally in control of the fight until the 10th round, until Stevenson finally landed a big body shot. The punch seemed to slow Jack down a bunch, and he gave away the round. Perhaps if that one punch didn’t land, jack would have won the fight. Jack came out blazing in the 11th however, and put the beating on Stevenson. In the 12th round, it was more Jack, as he pinned Stevenson against the ropes. 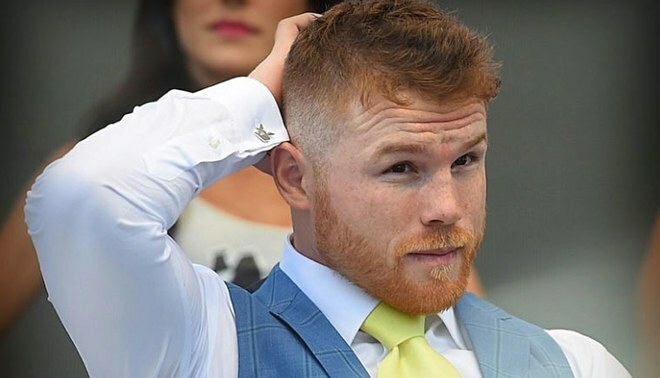 If the fight was 10 seconds longer, he would have dropped Stevenson. I scored the fight 115-113 in favor of Jack, agreeing with one go the judges, but we were over ruled but the other two who scored the fight 114-114. 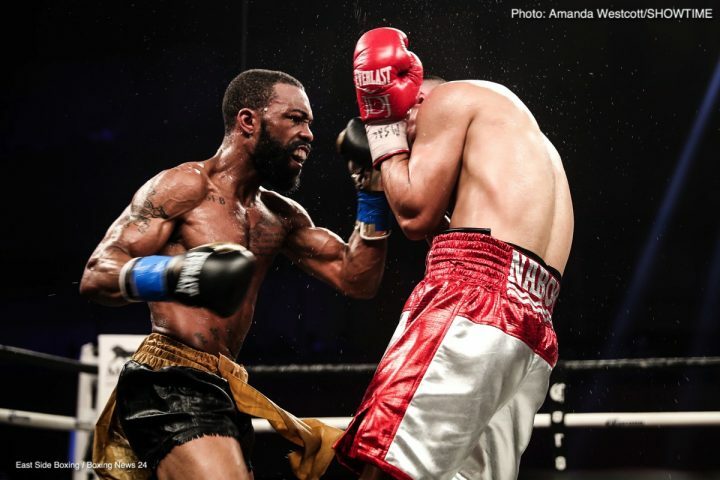 Also last night on Showtime championship boxing, Gary Russell Jr (29-1, 12 KO’s) defeated JoJo Diaz Jr (26-1, 14 KO’s) and retained his WBC Featherweight title via 12 round unanimous decision. Russell started fast, walking Diaz down, and pumping the jab keeping him at bay. In the 3rd round, Diaz tried to make it a scrappy fight, which worked for a while. Russell fell into the trap for a few rounds, but ultimately Diaz ran out of gas as he punched himself out. By the 9th round, Russell was cruising again, and Diaz had no answer for it. The 11th and 12th rounds were all Russell, ad Jojo Diaz was unable to muster any offense what so ever. Diaz went for broke one more time at the end of the 12th, but it was too little too late. Russell remains at the top of the featherweight division, and awaits the winner of Santa Cruz VS Mares.